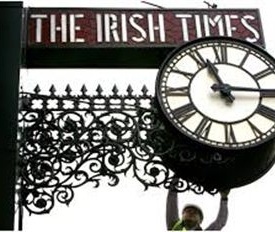 In 2012, The Irish Times, our island’s ‘newspaper of record’ established in 1859, entered into a strategic professional relationship with CPM. For the past 2 years, CPM has been responsible with driving sales subscriptions in the residential market for this media outlet. Positive results have been achieved by providing The Irish Times with a Leinster-based group which supply Recruitment, HR, Training, and most importantly a high performance Field Sales Team.